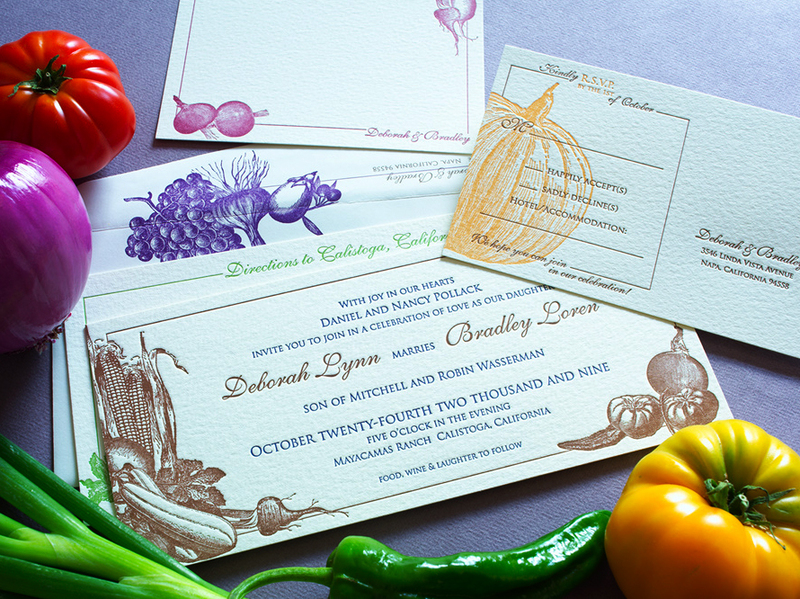 This colorful vegetable themed wedding invitation is one of our favorites, for its color and uniqueness, as well as the personal connection it has to the bride and groom. The bride’s owns an organic produce business and the groom is a sommelier. In addition to the vegetables, grapes are featured on the envelopes. 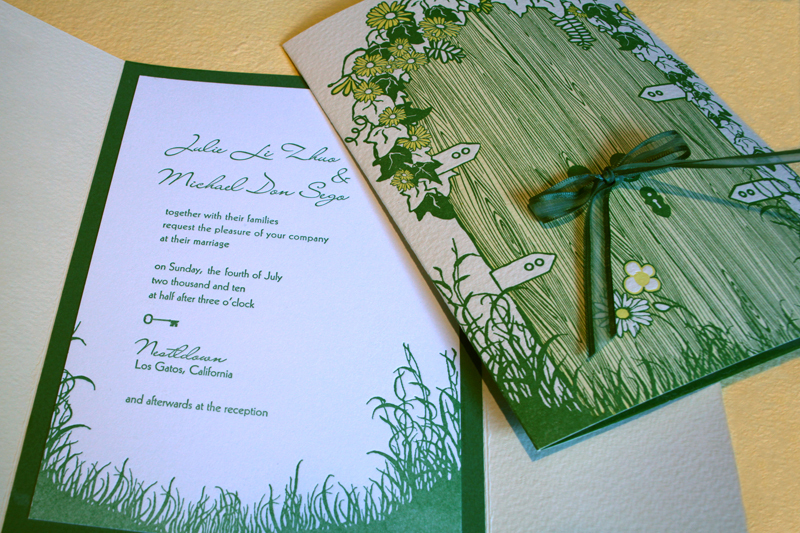 Another of our favorite recent sets, this gate fold invitation opens onto a peaceful grassy field. This couple loved to take pictures of magical and whimsical looking garden doorways and gateways when they encountered them on their travels. This wedding took place in the garden at the family home. There was a theme of white flowers, and we selected botanicals that were in white, in the family’s gardens, and in season for the ceremony. 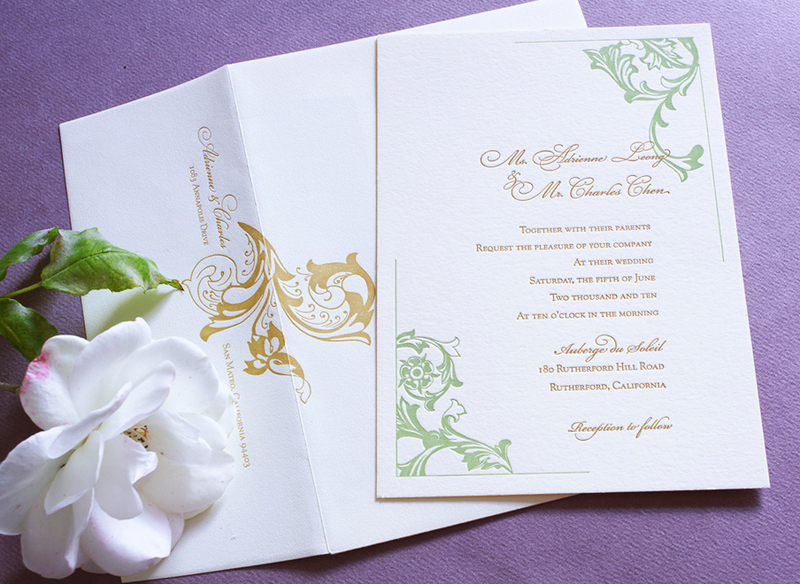 This elegant style of Florentine invitation is very versatile. 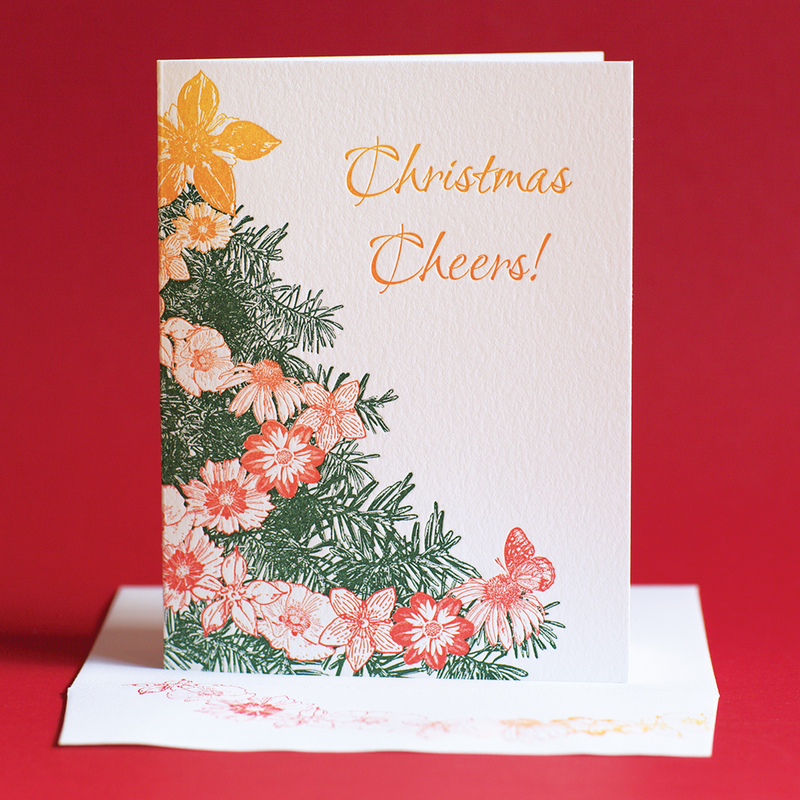 It works well in many different color schemes, and for different seasons. That’s why it’s one of the designs we’re showcasing in our new Prix Fixe offerings, which will be released next week. (Stay tuned!) 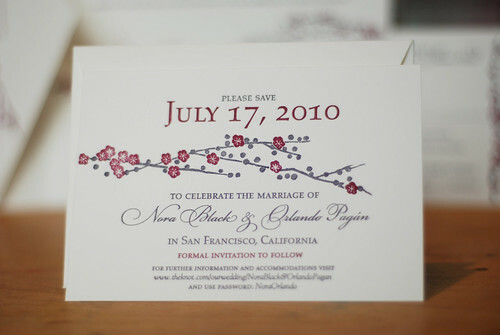 This was also featured on Style Me Pretty a visually sumptuous blog about beautiful weddings. 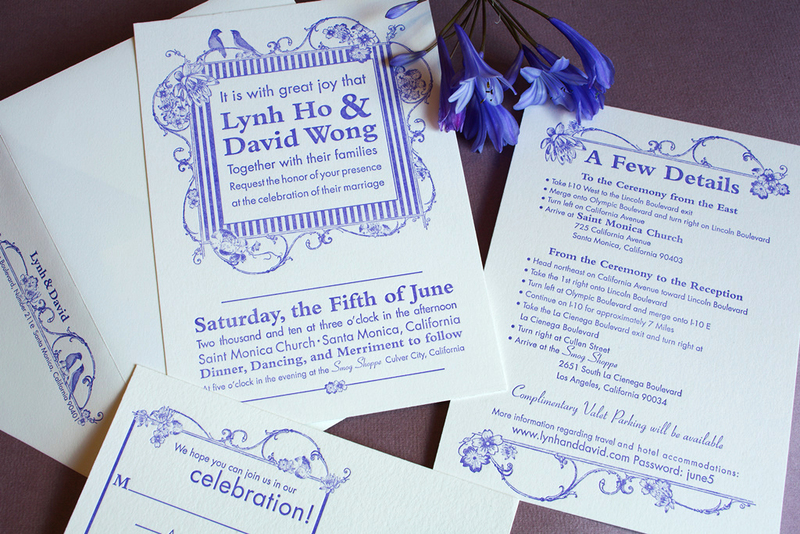 This invitation was designed to match the urban chic, fun, cool, retro-modern look of The Smogg Shoppe in Los Angeles, where the reception was held. The venue displayed a wonderful blend of decor, including seemingly otherworldly plantings of succulents; vintage rugs, chairs, and signs; and a converted industrial urban loft style structure and fixtures. Olive trees lined the drive to this wedding location in Napa Valley, California. 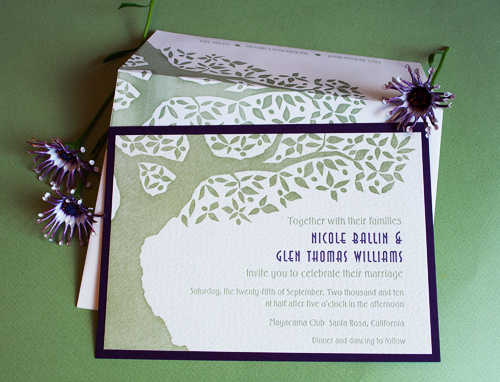 We developed this stylized burled tree with with a contemporary boldness to match the couple’s aesthetic. 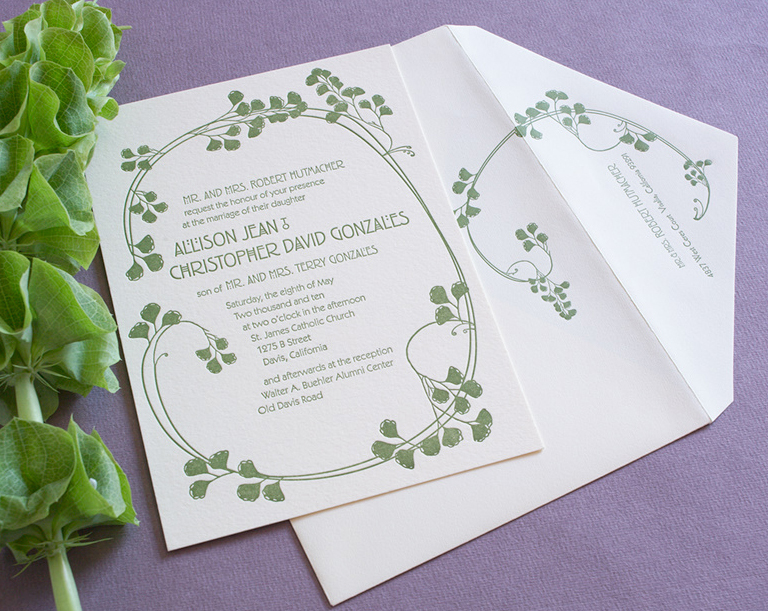 Maidenhair fern swirls around the text of this art nouveau influenced invitation, bringing a wonderful sense of flow to the image and text. The two elements work together with give and take, almost as if dancing. 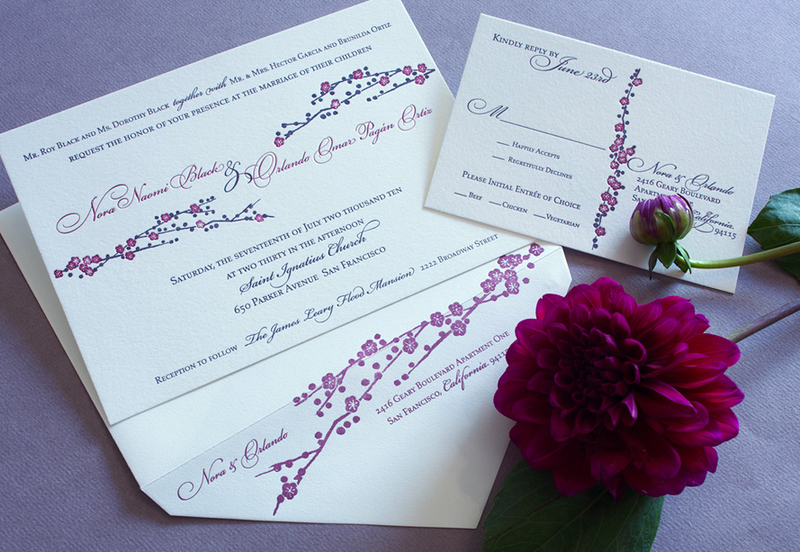 These cherry blossom branches in raspberry and violet brought a stunning richness to this traditional style invitation. It’s been a while since we’ve posted about what’s going on in our studio. This is because we’ve been really busy through the winter and into spring. 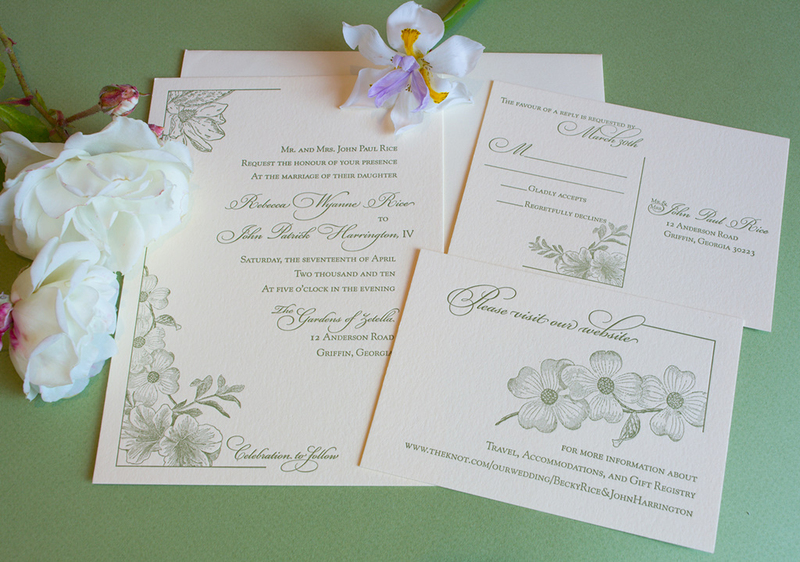 We’ve been excited about the many different projects we’ve had, from wedding invitation packages to dinner menus for events. Please click the “keep reading” button below to see images of the different projects. As always, we welcome your comments and feedback!